Bohemian Rhapsody – Entertainment Ave! While watching the movie, “Bohemian Rhapsody,” I had to chuckle when the scene arrived showing the various clips of reviews of the Queen album, “A Night at the Opera” and the epic song, “Bohemian Rhapsody.” Yup, critics really didn’t like the album, didn’t get it, and basically dismissed it. Enter “Bohemian Rhapsody” the movie, and sure enough the critics didn’t really like it, didn’t get it, and basically dismissed it. The problem? The people going to the theater appeared to love it. This reviewer is in line with the people going to the theater, though I am disappointed with a few liberties the film folks took with the life of Freddie Mercury (played in the film by Rami Malek). More about that, later. Me, I was seven years old when “A Night at the Opera” came out. I can’t say I remember it back then, but what I do remember is “A Night at the Opera” was the first album I ever bought. I remember riding my bike to Big Town in Lorain, Ohio, putting the album on my turntable, and there it was, a skip, during “Seaside Rendezvous.” I didn’t care. I loved the album, and listened to it over, and over, and over. It’s the only piece of vinyl I will not depart with, has a place on my knick-knack shelf, and when I bought the CD of “A Night at the Opera” I would still sing the “skip” during “Seaside.” Queen has always been one of musical influences of my life. It was with much hope that I didn’t want to be let down by the movie, “Bohemian Rhapsody,” and I loved it. Opening with the band getting ready to start their set at Live Aid, the movie quickly shifts back to the first days of Queen, and Freddie’s struggles in getting his family to understand his desire for music. Pretty much from that point the movie progresses through the various stages of Queen, focusing mostly on the life of Mercury. We see the start of the band in small clubs, getting noticed by the record company folks, and growing a sound their fans would love, but one many critics and their record company people couldn’t always figure out what to make of it. 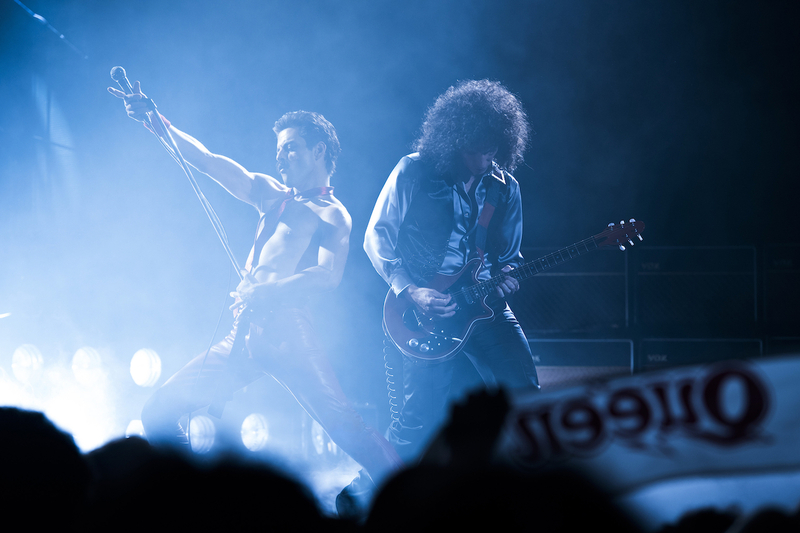 As the movie is mostly focused on Freddie Mercury, “Bohemian Rhapsody” does its best to not shed him in a bad light, just misunderstood and with a passion for life many either envy or dismiss. 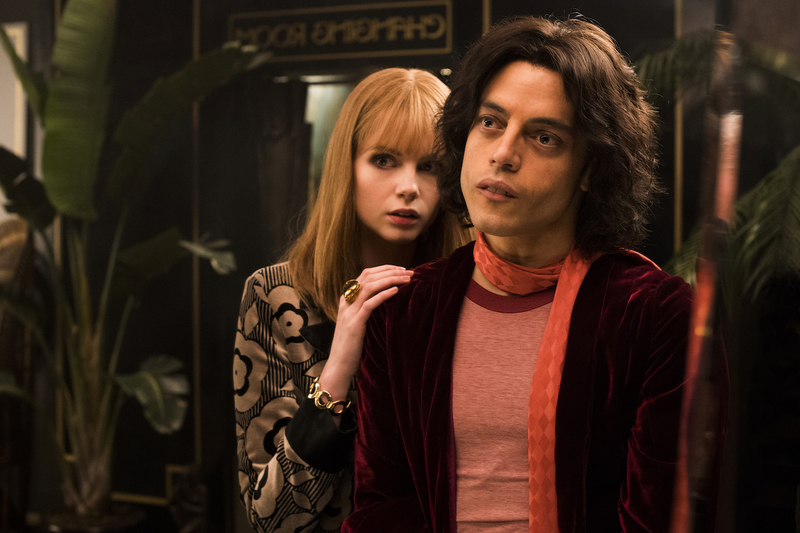 What was great was Rami Malek’s portrayal of this, able to show Freddie in a “larger-than-life” scale, exploring his love of music, his love of all people, and what seemed like, at the end of the day, how Freddie just wanted to be loved. Intertwined with the Freddie story are the struggles the band had. Freddie was the one always looking for a party, but the story the movie shows is that as the years went on the rest of the band, Brian May (Gwilym Lee), Roger Taylor (Ben Hardy), and John Deacon (Joe Mazzello), all seemed to grow up a little bit, starting their own families, and were done with the “party” life Freddie seemed to crave. How much of a riff this really caused between Freddie and the band is probably, still, fairly private, however, the movie plays it out as a big deal. 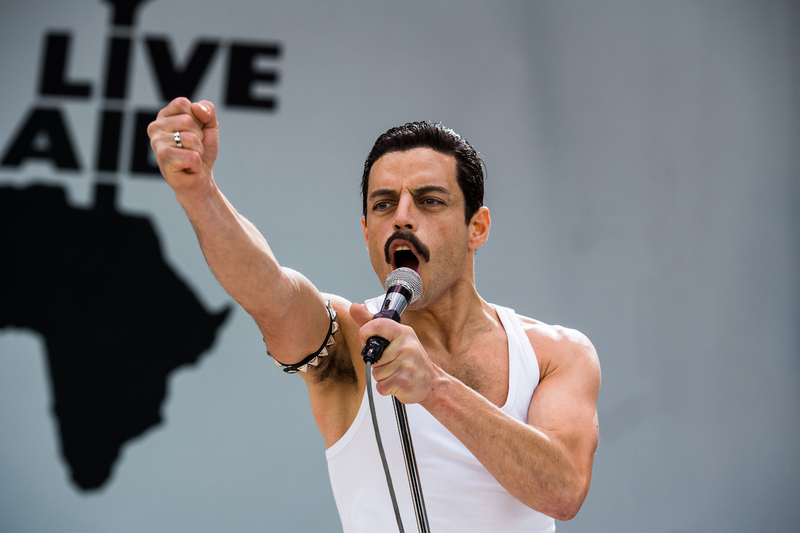 Here’s the rub: Knowing the liberties the film folks appeared to take with a key element of Freddie Mercury’s life, I have to just take the entertainment portion of the film as entertaining, and not really gospel about Freddie’s life. Why do I write this? Well, while watching the movie, as things progressed towards the epic, Live Aid performance, I found myself questioning what was happening in the movie. You see, in the movie Queen essentially breaks up before Live Aid, spurred on by disagreements of Freddie starting a solo career, and in the movie Freddie is diagnosed with AIDS before Live Aid. The problem is that this is not true, and the band didn’t break up. Yes, Freddie did try his hand at some solo stuff, but most stories say there wasn’t this giant riff in the band before Live Aid, and it surely wasn’t him battling AIDS to make it through the show. 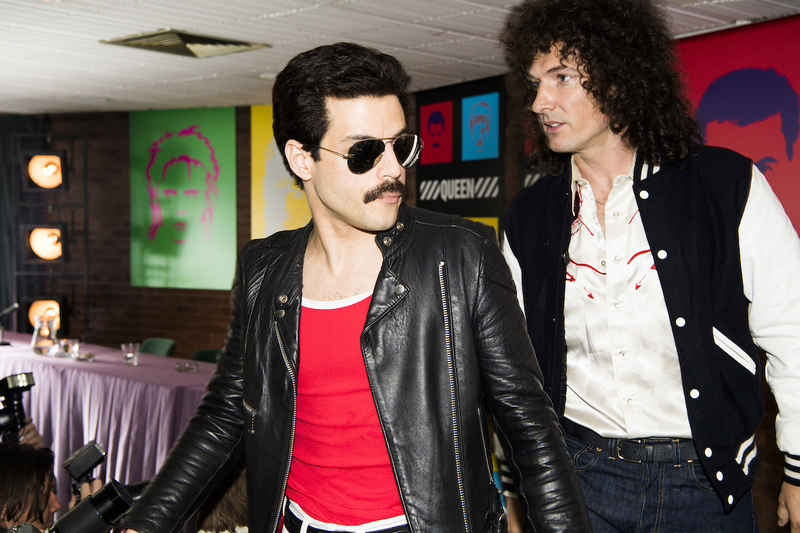 I know the rewriting of history was done to bring some “super-drama” to the storyline, but what does bother me is that millions of people will think that the Live Aid performance was this “get the band back together while Freddie fights AIDS” thing, when it wasn’t. It really puts a damper on an otherwise wonderful movie. At the end of it all I did love “Bohemian Rhapsody,” I just really wish they didn’t take such great liberties with the life of Freddie Mercury. Rami Malek was incredible in his portrayal, and the rest of the folks did wonderful showing the emotions of the band and recreating epic concert scenes. If it weren’t for the blatant mis-representation of some of the band’s history, I would be giving the movie 5 stars out of 5, but I’ve got to knock things down to 4 1/2 stars. Kind of a bummer, but I just can’t let the “let’s rewrite history to make a better story” story go.